For other uses, see Dagestan (disambiguation). Dagestan (/ˌdæɡɪˈstæn, -ˈstɑːn/; Russian: Дагеста́н), officially the Republic of Dagestan (Russian: Респу́блика Дагеста́н), is a federal subject (a republic) of Russia, located in the North Caucasus region. Its capital and largest city is Makhachkala, centrally located on the Caspian Sea coast. With a population of 2,910,249, Dagestan is very ethnically diverse and Russia's most heterogeneous republic, with the largest ethnicity constituting less than 30% of the population. Largest among the ethnicities are the Avar, Dargin, Kumyk, Lezgian, Laks, Azerbaijani, Tabasaran, and Chechen. Ethnic Russians comprise about 3.6% of Dagestan's total population. Russian is the primary official language and the lingua franca among the ethnicities. Dagestan has been a scene of Islamic insurgency, occasional outbreaks of separatism, and ethnic tension since the 1990s. According to the International Crisis Group, the militant Islamist organization Shariat Jamaat is responsible for much of the violence. Much of the tension is rooted in an internal Islamic conflict between traditional Sufi groups advocating secular government and more recently introduced Salafist teachers preaching the implementation of a certain form of Sharia in Dagestan. Its government was dissolved in a major corruption investigation on 5 February 2018, and the region has since been under the direct control of the Russian government. The word Dagestan is of Turkish and Persian origin. The Turkish word dağ means 'mountain', and the Persian suffix -stan means 'land'. Between 1860 and 1920, Dagestan was referred to as Dagestan Oblast, corresponding to the southeastern part of the present-day republic. The current borders were created with the establishment of the Dagestan Autonomous Soviet Socialist Republic in 1921, with the incorporation of the eastern part of Terek Oblast, which is not mountainous but includes the Terek littoral at the southern end of the Caspian Depression. Federal subjects in the Black Sea-Caspian area. The republic is situated in the North Caucasus mountains. It is the southernmost part of Russia and is bordered on its eastern side by the Caspian Sea. Dagestan has about 405 kilometers (252 mi) of coastline on the Caspian Sea. Most of the Republic is mountainous, with the Greater Caucasus Mountains covering the south. The highest point is the Bazardüzü/Bazardyuzyu peak at 4,470 meters (14,670 ft) on the border with Azerbaijan. The southernmost point of Russia is located about seven kilometers southwest of the peak. Other important mountains are Diklosmta (4,285 m (14,058 ft)), Gora Addala Shukgelmezr (4,152 m (13,622 ft)) and Gora Dyultydag (4,127 m (13,540 ft)). 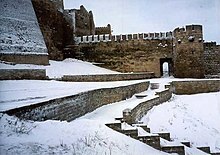 In the 5th century, the Sassanids gained the upper hand, and by the 6th century constructed a strong citadel at Derbent, known henceforward as the Caspian Gates, while the northern part of Dagestan was overrun by the Huns, followed by the Caucasian Avars. 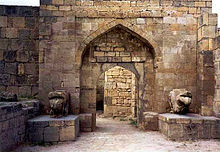 During the Sassanian era, southern Dagestan became a bastion of Iranian culture and civilization, with its center at Derbent, and a policy of "Persianisation" can be traced over many centuries. 19th-century Kaitag embroidered textile from southwest Dagestan. As Mongolian authority gradually eroded, new centers of power emerged in Kaitagi and Tarki. In the early 16th century, the Persians (under the Safavids) reconsolidated their rule over the region, which would, intermittently, last till the early 19th century. In the 16th and 17th centuries, legal traditions were codified and mountainous communities (djamaats) obtained a considerable degree of autonomy. The Russians intensified their hold in the region for the first time in the 18th century, when Peter the Great annexed maritime Dagestan from Safavid Persia in the course of the Russo-Persian War (1722–23). The territories were however returned to Persia in 1735 per the Treaty of Ganja. Between 1730 and the early course of the 1740s, following his brother's murder in Dagestan, the new Iranian ruler and military genius Nader Shah led a lengthy campaign in swaths of Dagestan in order to fully conquer the region, which was met with considerable success, although he was eventually inflicted several decisive defeats by various of the ethnic groups of Dagestan, forcing him to retreat with his army. From 1747 onwards, the Iranian-ruled part of Dagestan was administered through the Derbent Khanate, with its center at Derbent. The Persian Expedition of 1796 resulted in the Russian capture of Derbent in 1796. However, the Russians were again forced to retreat from the entire Caucasus following internal governmental problems, allowing Iran to capture the territory again. In 1806 the khanate voluntarily submitted to Russian authority, but it was not until the aftermath of the Russo-Persian War (1804-1813) that Russian power over Dagestan was confirmed, and that Qajar Iran officially ceded the territory to Russia. In 1813, following Russia's victory in the war, Iran was forced to cede southern Dagestan with its principal city of Derbent, alongside other vast territories in the Caucasus to Russia, conforming with the Treaty of Gulistan. The 1828 Treaty of Turkmenchay indefinitely consolidated Russian control over Dagestan and removed Iran from the military equation. Dagestani man, photographed by Sergey Prokudin-Gorsky, circa 1907 to 1915. Dagestan and Chechnya profited from the Russo-Turkish War (1877–78), to rise together against imperial Russia for the last time (Chechnya rose again at various times throughout the late 19th and 20th centuries). On 21 December 1917, Ingushetia, Chechnya, and Dagestan declared independence from Russia and formed a single state called the "United Mountain Dwellers of the North Caucasus" (also known as the Mountainous Republic of the Northern Caucasus) which was recognized by major world powers. The capital of the new state was moved to Temir-Khan-Shura. The first prime minister of the state was Tapa Chermoyev, a prominent Chechen statesman. The second prime minister was an Ingush statesman Vassan-Girey Dzhabagiev, who in 1917 also became the author of the constitution of the land, and in 1920 was reelected for a third term. After the Bolshevik Revolution, Ottoman armies occupied Azerbaijan and Dagestan and the region became part of the short-lived Mountainous Republic of the Northern Caucasus. After more than three years of fighting the White movement and local nationalists, the Bolsheviks achieved victory and the Dagestan Autonomous Soviet Socialist Republic was proclaimed on 20 January 1921. Nevertheless, Stalin's industrialization largely bypassed Dagestan and the economy stagnated, making the republic the poorest region in Russia. In 1999, an Islamist group from Chechnya, led by Shamil Basayev and Ibn Al-Khattab, launched a military invasion of Dagestan, with the aim of creating an "independent Islamic State of Dagestan". The invaders were driven back by the Russian military. As a retaliation, Russian forces subsequently reinvaded Chechnya later that year. Violence in the Republic exploded from the beginning of 2010 to the end of 2012. This upsurge led many people to claim that Dagestan was about to enter into a situation of sectarian civil war. Dagestan became the epicenter of violence in the North Caucasus with Makhachkala, Kaspiisk, Derbent, Khasavyurt, Kizlyar, Sergokala, Untsukul, and Tsumada all becoming hotbeds of militant activities. The Government Building of the Republic of Dagestan. The Constitution of Dagestan was adopted on 10 July 2003. According to it, the highest executive authority lies with the State Council, comprising representatives of fourteen ethnicities. The members of the State Council are appointed by the Constitutional Assembly of Dagestan for a term of four years. The State Council appoints the members of the Government. The ethnicities represented in the State Council are Avars, Dargins, Kumyks, Lezgins, Laks, Azerbaijanis, Tabasarans, Russians, Chechens, Nogais, Aguls, Rutuls, Tsakhurs, and Tats. Formerly, the Chairman of the State Council was the highest executive post in the republic, held by Magomedali Magomedovich Magomedov until 2006. On 20 February 2006, the People's Assembly passed a resolution terminating this post and disbanding the State Council. Russian president, Vladimir Putin offered the People's Assembly the candidature of Mukhu Aliyev for the newly established post of the president of the Republic of Dagestan. The nomination was accepted by the People's Assembly, and Mukhu Aliyev became the first president of the republic. On 20 February 2010 Aliyev was replaced by Magomedsalam Magomedov. The current head of the republic is Ramazan Abdulatipov (acting until 2013, following the resignation of Magomedov). 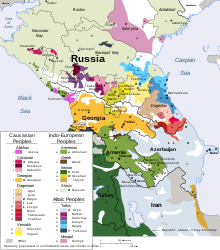 Ethnolinguistic groups in the Caucasus region. 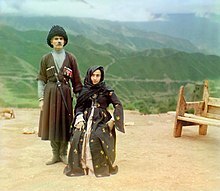 The people of Dagestan include a large variety of ethnicities. According to the 2010 Census, Northeast Caucasians (including Avars, Dargins, Lezgins, Laks, Tabasarans, and Chechens) make up almost 75% of the population of Dagestan. Turkic peoples, Kumyks, Azerbaijanis, and Nogais make up 21%, and Russians 3.6%. Other ethnicities (e.g. Tats) each account for less than 0.4% of the total population. 1 18,430 people were registered from administrative databases, and could not declare an ethnicity. It is estimated that the proportion of ethnicities in this group is the same as that of the declared group. The indigenous ethnicities of Dagestan are in bold. More than 30 local languages are commonly spoken, most belonging to the Northeast Caucasian language family. Russian became the principal lingua franca in Dagestan during the 20th century; Over 20 of Russia's 131 endangered languages as identified by UNESCO can be found in Dagestan. Most of these endangered languages have Dagestani speakers in the mountainous region on the Dagestan-Georgia border. Prior to Soviet rule, the literary lingua-franca status to some extent belonged to Classical Arabic. The northern Avar dialect of Khunzakh has also served as a lingua franca in mountainous Dagestan where Avar-related peoples lived. And throughout centuries the Kumyk language had been the lingua-franca for the bigger part of the Northern Caucasus, from Dagestan to Kabarda, until the 1930s. Kumyk also had been an official language for communication of Russian Imperial administration with the local peoples. From the peoples speaking Tatar language I liked the most Kumyks, as for their language's distinction and precision, so for their closeness to the European civilization, but most importantly, I take in account that they live on the Left Flank of the Caucasian Front, where we're conducting military actions, and where all the peoples, apart from their own language, speak also Kumyk. Islamic school in Sasitli village. According to a 2012 survey which interviewed 56,900 people, 83% of the population of Dagestan adheres to Islam, 2.4% to the Russian Orthodox Church, 2% to Caucasian folk religion and other native faiths, 1% are non-denominational Christians. In addition, 9% of the population declares to be "spiritual but not religious", 2% is atheist and 0.6% follows other religions or did not answer the question. Dagestanis are largely Sunni Muslims, of the Shafii rites, that has been in place for centuries. On the Caspian coast, particularly in and around the port city of Derbent, the population (primarily made up of Azerbaijanis) is Shia. There is also a Salafi population, which is often a target of official repression. A relatively large number of native Tati-speaking Jews – the "Mountain Jews" – were[when?] also present in this same coastal areas. However, since 1991 and the collapse of the Soviet Union, they have migrated to Israel and the United States. 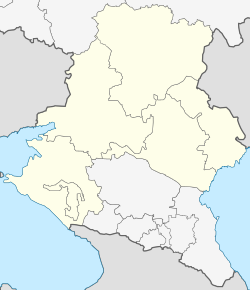 These were an extension of much larger Azerbaijani Jewish community across the border in the Azerbaijani districts of Quba and Shamakhi. The major industries in Dagestan include oil production, engineering, chemicals, machine building, textile manufacturing, food processing, and the timber. Oil deposits are located in the narrow coastal region. The Dagestani oil is of high quality and is delivered to other regions. Dagestan's natural gas production goes mostly to satisfy local needs. Agriculture is varied and includes grain-farming, viticulture and wine-making, sheep-farming, and dairying. The engineering and metalworking industries own 20% of the republic's industrial production assets and employ 25% of all industrial workers. Dagestan's hydroelectric power industry is developing rapidly. There are five power plants on the Sulak River providing hydroelectric power. It has been estimated that Dagestan's total potential hydroelectric power resources are 4.4 billion kW. Dagestan has a well-developed transportation system. Railways connect the capital Makhachkala to Moscow, Astrakhan, and the Azerbaijani capital, Baku. The Moscow-Baku highway also passes through Dagestan, and there are air links with major cities. Conditions for economic development are favorable in Dagestan, but – as of 2006[update] – the republic's low starting level for a successful transition to market relations, in addition to rampant corruption, has made the region highly dependent on its underground economy and the subsidies coming from the central Russian government. Corruption in Dagestan is more severe than in other regions of the former Soviet Union and is coupled with a flourishing black market and clan-based economic system. On 15 May 2008, two MVD officers were killed and one police officer heavily wounded during an ambush on their vehicle in Gubden. On 8 September 2008, Abdul Madzhid and several rebels were killed in an ambush by Russian special forces. On 21 October 2008, rebels ambushed a Russian military truck, killing five soldiers and wounding nine others. On 6 January 2010, a suicide bomber attempted to blow up a police station in Makhachkala, killing six officers and wounding 14 others. On 31 March 2010, 12 people were killed and 18 wounded by two suicide bombings in the town of Kizlyar outside the offices of the local interior ministry and the FSB security agency. The second bomb went off twenty minutes after the first, as a crowd had gathered. In the early hours of the next morning, two people died as a bomb went off in their car, apparently prematurely, near the village of Toturbiikala. On 15 July 2010, Pastor Artur Suleimanov, a Muslim convert to Christianity, was murdered by a gunman. The pastor was killed in his car as he was leaving the Hosanna House of Prayer in Makhachkala, according to a religious persecution watchdog group, Voice of the Martyrs, report. Pastor Suleimanov's church is one of the largest Protestant churches in Dagestan. Christians in the Russian Republic of Dagestan, which borders Chechnya, face harassment and intimidation from various groups. Pastor Suleimanov's life had been threatened on several previous occasions. On 23 September 2011, Magomed Murtuzaliyev, a high-level law enforcement official, was shot and killed by gunmen. On 28 September 2011, seven civilians and a police officer were killed by a car bomb in the village of Hajjalmakhi. On 4 May 2012, 12 people were killed in two separate explosions on the outskirts of Makhachkala. On 28 August 2012, Sheikh Said Afandi, an influential 75-year-old Sufi cleric, was killed along with six others in a suicide bombing. Afandi, a Sufi Muslim, opposed violent jihad in Dagestan. Abdulkhakim Ismailov (1916–2010), World War II soldier. Abdulrashid Sadulaev – freestyle wrestler, a three-time World Champion (2014, 2015, 2018), European Champion (2014), European Games Champion (2015), two time Cadet World Champion (2012, 2013), Golden Grand-Prix Champion, Olympic Gold Medalist (2016). Adam Saitiev (12 December 1977, Khasavyurt, Dagestan ASSR) – Russia's freestyle wrestler, a Chechen, Russian Master of sports of international class, Honored Master of Sports of Russia (2000), three-time champion of Russia (1999, 2000, 2002), three-time champion Europe (1999, 2000, 2006), two-time world champion (1999, 2002), Olympic champion (2000). Ali Aliyev (wrestler) - Avar Dagestani-born Soviet Union freestyle wrestler. He won five world titles. Buvaisar Saitiev (b. 11 March 1975 in Khasavyurt, Dagestan ASSR) – Russia's freestyle wrestler, three-time Olympic champion, six-time world champion, six-time European champion, five-time Russian champion, seven-time winner of the tournament Krasnoyarsk Ivan Yarygin winner Goodwill Games will. Honored Master of Sports of Russia (1995). Fatimat Madilavovna Kicheva (b.1990) - Dagestan and Russian writer, national poet of Dagestan Republic, ashug, publicist and journalist, Fatimat has made a major contribution to the development of Dagestan and Russian culture. Khabib Nurmagomedov – UFC fighter in the lightweight division and the current undisputed Lightweight champion. Magomed Kurbanaliev - Russian freestyle wrestler. World freestyle wrestling champion 2016 in 70 kg. Magomedrasul Khasbulaev - (Frodo khasbulaev) mixed martial artist of Avar heritage at one time fought in the Featherweight division for the Bellator Fighting Championships. Makhach Murtazaliev - Russian Olympic wrestler who won the bronze medal for Russia at the 2004 Summer Olympics in Athens. Mansur Isaev - In 2012, he won the gold medal in judo at the 2012 Summer Olympics. Mavlet Batirov - freestyle wrestler, world and 2-time Olympic champion, who competed in the men's freestyle 55 kg category at the 2004 Summer Olympics and won the gold medal. Murad Umakhanov - Umakhanov competed at the 2000 Summer Olympics in Sydney where he received a gold medal in Freestyle wrestling. Sazhid Sazhidov - Russian Olympic wrestler who represented Russia at the world-level from 2003 to 2006. He won the bronze medal at the 2004 Athens Olympics. Suleyman Kerimov - businessman, investor, philanthropist and politician. Featured on Forbes list as one of the richest people in Russia. Founded the Suleyman Kerimov Foundation as a vehicle for his charitable projects. Tagir Khaybulaev - In the 2012 Summer Olympics, Khaybulaev won a gold medal. Tankho Israelov (1917–1981) – ballet dancer, choreographer, People's Artist of the USSR (1978). Zabit Magomedsharipov (b. 1991) - UFC fighter fighting in the featherweight division. ^ Всероссийский Центральный Исполнительный Комитет. Декрет от 20 января 1921 г. «Об Автономной Дагестанской С��циалистической Советской Республике». (All-Russian Central Executive Committee. Decree of January 20, 1921 On Autonomous Dagestan Socialist Soviet Republic. ). ^ Heinrich, Hans-Georg; Lobova, Ludmila; Malashenko, Alexei (2011). Will Russia Become a Muslim Society?. Peter Lang. p. 46. ISBN 3631609132. Retrieved August 6, 2012. ^ Dalby, Andrew (2004). Dictionary of Languages: The Definitive Reference to More Than 400 Languages. Columbia University Press. p. 59. ISBN 0231115695. Retrieved August 6, 2012. ^ a b Russia’s Dagestan: Conflict Causes Archived March 28, 2014, at the Wayback Machine. International Crisis Group Europe Report N°192. 3 June 2008. Access date: 07 April 2014. ^ https://www.rt.com/politics/417983-dagestan-government-dissolved-as-former/ Russia Today - "Dagestan government dissolved amid major corruption investigation"
^ Zonn, Igor S.; et al. The Caspian Sea Encyclopedia. Berlin: Springer. p. 280. ^ "Dagestan". Retrieved 11 June 2015. ^ "Putin replaces head of South Russian republic of Dagestan". RT. January 28, 2013. Retrieved January 28, 2013. ^ Ware, Robert Bruce (29 Mar 2008). "Islamic Resistance and Political Hegemony in Dagestan". Retrieved 28 May 2014. ^ Wixman, Ronald (1984). "The Peoples of the USSR: An Ethnographic Handbook". Armonk, New York: M. E. Sharpe, Inc: 11. ^ Перепись-2010: русск��х становится больше (in Russian). Perepis-2010.ru. 2011-12-19. Retrieved 2012-01-15. ^ Beliaev, Edward; Oksana Buranbaeva (2006). Dagestan. New York: Marshall Cavendish Benchmark. p. 89. ISBN 0761420150. Retrieved 2013-04-04. ^ Moseley, Christopher (2010). "UNESCO Interactive Atlas of the World's Languages in Danger". United Nations Education, Scientific, and Cultural Organization. UNESCO. Retrieved 3 October 2016. ^ Kemper, Michael (2011). "An Island of Classical Arabic in the Caucasus: Dagestan". In Françoise Companjen; László Károly Marácz; Lia Versteegh. Exploring the Caucasus in the 21st Century: Essays on Culture, History and Politics in a Dynamic Context. Amsterdam: Pallas Publications. pp. 63–90. ISBN 9789089641830. Retrieved 2013-04-04. ^ Comrie, Bernard (1981). The Languages of the Soviet Union. Cambridge, UK: Cambridge University Press. p. 199. ISBN 0521232309. Retrieved 2013-04-04. ^ Pieter Muysken. (2008). Studies in language companion series. From linguistic areas to areal linguistics. 90. John Benjamins Publishing Company. p. 74. ISBN 9789027231000. ^ Nansen. Gjennem Kaukasus til Volga (Oslo: Jacob Dybwads Forlag, 1929). ^ Н.С.Трубецкой (1925). ""О народах Кавказа"" (статья ed.). ^ "Kafkaz Lehçeni Tatar Grammatikası, Makarov 1848". caucasian.space (in Kumyk and Russian). Archived from the original on 2017-11-07. Retrieved 2017-06-28. ^ "Biography of Shaykh Said Afandi al-Chirkawi". Islamdag.info. July 22, 2011. Retrieved May 4, 2012. ^ "Slavic Center for Law & Justice". SCLJ. Retrieved January 15, 2012. ^ Magomed Gasanov (2001). "On Christianity in Dagestan". Iran & the Caucasus. 5: 79–84. JSTOR 4030847. ^ Dagestan Microsoft Encarta Online Encyclopedia 2008. Archived 2009-10-31. ^ "The Voice of the Martyrs' Be-A-Voice Network". Be-a-voice.net. Retrieved 2012-01-15. ^ "Russia: Official Killed in Dagestan". The New York Times. September 23, 2011. ^ "BBC News – Dagestan Russia blasts: At least 12 dead in Makhachkala". Bbc.co.uk. May 4, 2012. Retrieved 2012-05-04. В. М. Солнцев; et al., eds. (2000). Письменные языки мира: Российская Федерация. Социолингвистическая энциклопедия. (in Russian). Москва: Российская Академия Наук. Институт языкознания. проект №99-04-16158. Wikimedia Commons has media related to Dagestan. 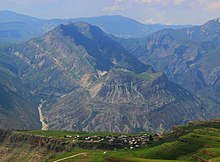 Wikivoyage has a travel guide for Dagestan. Egbert Wesselink (1998). "Dagestan (Daghestan): Comprehensive Report". Caspian.net. Archived from the original on October 5, 2001. Retrieved January 15, 2012.